Leading edge healthcare IT products which improve clinical workflows, accessibility, flexibility and the standard of patient care. Centriq's experience over the years in designing and implementing healthcare IT infrastructure solutions, has highlighted a number of areas where some of the software based products were either weak or did not exist. From this, Centriq have sought out and selected some key products that make a real difference to the healthcare environment and complement solutions we are offering. GE Healthcare's web based PACS solution offers a cost effective, flexible IT model for hospitals, outpatient imaging centres, virtual radiology centres and physicians offices. Fast time to display first image, an intuitive user interface, enhanced comparison capabilities and powerful tools, make this an ideal solution to extend or replace existing PACS solutions. AssetPlus has evolved over 15 years to become the benchmark tool for tracking the essential maintenance and investments which keep healthcare institutions running smoothly. It is designed to address biomedical requirements to track the full life-cycle of every asset. 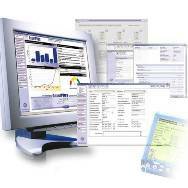 It supports the requirements of CQC and NHSLA with full audit traceability and powerful search and reporting tools. An integrated digital recording and management solution of patient images, demographic data and visit details coupled with an intuitive user interface. 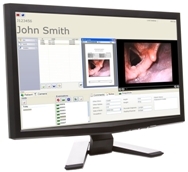 The system works with any endoscope and is designed to improve clinical workflows to improve patient outcomes and reduce operating costs. Ideal for outpatients/clinics to provide instant recording and instantly accessible information and remove the need for DVDs and USBs. 100% Web based PACS enabling, scalable to your needs and allows you to start small and grow big. The benchmark in EMBE asset lifecycle management. 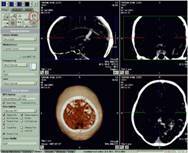 Neologiq's ENT digital imaging and patient data capture solution.